Today is a picture blog about some of the reasons we are to study God’s word and a few other things surrounding that. These first three are things we do on accident. We need to be intentional not to do these things. And if we don’t even suspect it to be us, we should still pray against these things. The world, or even well-meaning friends can really mess you up with this one. Sometimes God will reveal something to you that maybe He hasn’t to them as of yet. Don’t let God’s instruction get buried under the fact that they are uninformed. I’ve been hurt. Over and over again. So have you. But let’s not forget that this can cloud our clear view of what God is saying in the scriptures. I’ve heard it said that if we had issues with our earthly father, it’s hard to see God as our daddy. And I’m sure this is true. So when we read, we must ask for God’s wisdom and a clear understanding of what He is trying to say to us. Whether it’s about His character, His work in the world or a specific instruction, we need to be clear. It’s really difficult not to interpret God’s word that reflects our personal experience. But my experience may be different than yours and your different from hers… and so on. So let’s be careful to take things at face value on how God reveals them to us. This takes me back to the Israelites. They were wandering and God was providing manna, daily. That manna spoiled if kept longer than a day. This should tell us two things: 1) That we cannot live without God’s word. It is our daily sustenance. We depend on it for our very life. Without it we are dead, back in our trespasses and sins. And 2) God’s word needs to be replenished daily. I know I’ve spoken before about how I get way off track if I skip a day or more in the Word. Not only do I feel disconnected, but my actions aren’t what they should be either. This one goes right along with the last one. My actions change because my sinful condition is going backwards. Reading the scriptures daily renews our mind. And we are commanded to do this, be renewed in our minds in Romans 12:2. Our minds direct our actions. So this is especially important. I’ve seen this a lot myself in the last few months. God is trying to get our attention, or at least mine. I could learn something in my devotional time, then a song could pop up or a Facebook message could show up either that day or the next. And sometimes it’s more than two. But just so you know, two or more times, it’s from God! So listen and act on it! This is the good news! On our own we cannot get it the way we need to. But if we ask God for wisdom, He is the one who guides and directs and teaches us. This is something I’ve learned. So I ask Him not to miss what He’s telling me every time before I start to read. And shoot if He doesn’t show up and teach me something. And He will for you, too. So, again with the challenge from the beginning: I challenge you to give God just five minutes today. See if He doesn’t show up and provide wisdom when you ask! Part One, Part Two and Part Three can be read here. 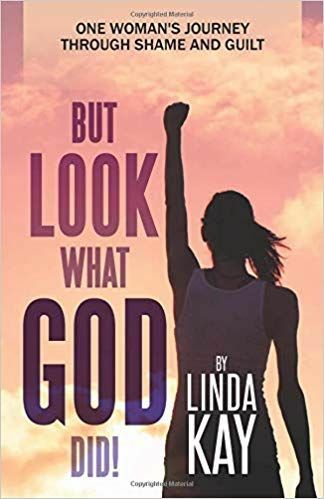 FOR MORE INFORMATION ON LINDA’S BOOK, “BUT LOOK WHAT GOD DID! ; ONE WOMAN’S JOURNEY THROUGH SHAME AND GUILT, CLICK THIS LINK!